This jolly little gift is just perfect for those who love nothing more than a good beer! 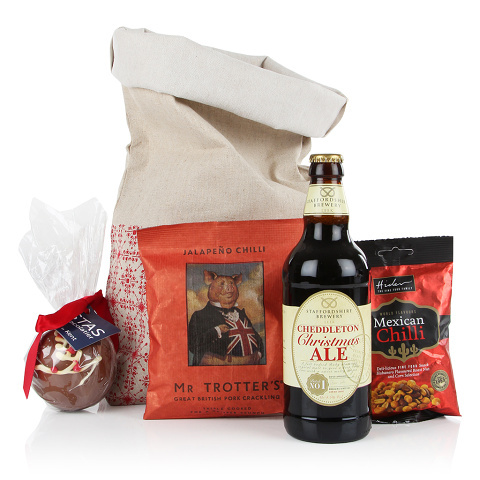 This Gold Beer from Staffordshire Brewery will raise a smile and the two savoury snacks are the perfect accompaniment, and not forgetting the hand decorated chocolate bauble from STAS chocolatier! Great for brothers and dads this Christmas.